Holiday kits include a Tree In A Box tree growing kit in your choice of tree species with a themed holiday seal affixed to the top. TREE IN A BOX Holiday kits are ideal to commemorate any holiday in the minds and hearts of your family, friends, and recipients. They will grow a tree that will mark your day in their memory every time they appreciate its shade, its beauty, its color, the Oxygen it breathes into our air. Give a tree today for a unique gift that lasts for generations to come. Holiday Seals Include: Valentine's Day, Earth Day, Easter, Arbor Day, Mother's Day, Father's Day, Rosh Hashanah, Hanukkah, Christmas, Kwanzaa, and Tu B' Shevat. Please contact us if you do not see the holiday you are looking for. Holiday seals can not be customized. If you wish to customize your seal, please view either our Birthday or Wedding Favor products that offer full seal customization. Custom 2.5" card can be personalized with the message of your choice. Select this option to send a card with each tree ordered. 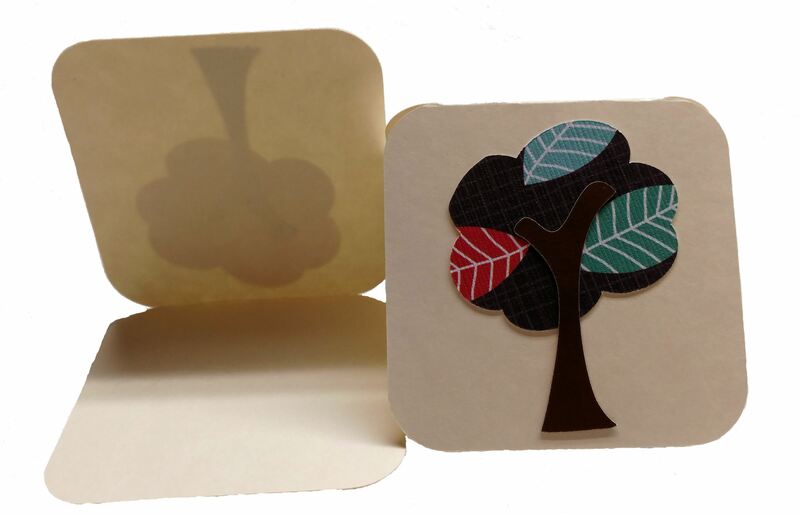 To send a single card with multiple trees, select the gift wrap option at checkout. Send your gift in a cotton drawstring gift bag. Each bag holds one tree kit. Orders of up to 8 trees will be shipped with the kit placed in the gift bag, larger orders will be shipped with the bags in the box with the tree kits for the customer to assemble upon arrival. 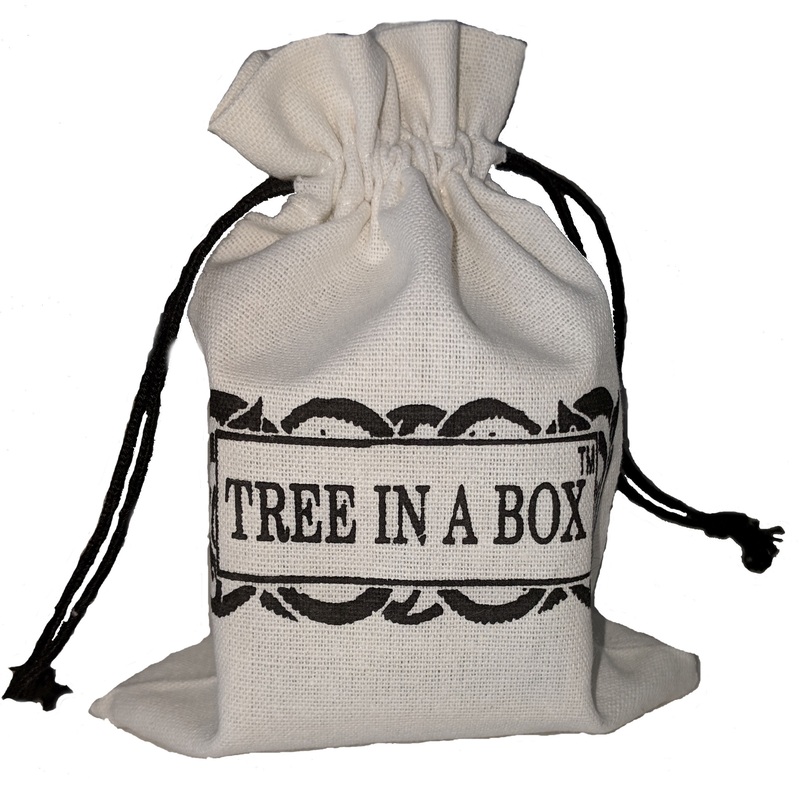 International Orders: Tree In A Box currently has the ability to ship US (excluding Hawaii) and Canadian addresses. We have some capabilities to ship to other countries, please contact us if you are outside the US or Canada and we will look into regulations for shipping our product to your location. Orders being shipped to Canada require a USDA Phytosanitary certificate. The cost for this certificate varies based on the total order amount, $61 for orders valued at $1,249 and under and $106 for orders valued $1,250 and over. This fee is shown as a handling fee in your shopping cart. Please note that there may be additional duties and taxes due on your end. Once the product is in your country, we have no control over the length of time it will take for it to clear customs.